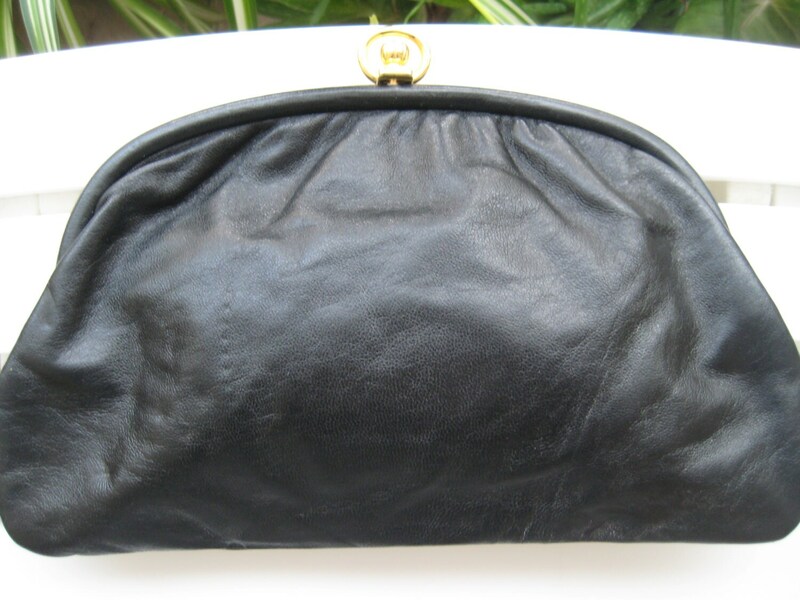 Lovely vintage black leather clutch in excellent condition. Handmade in Italy. 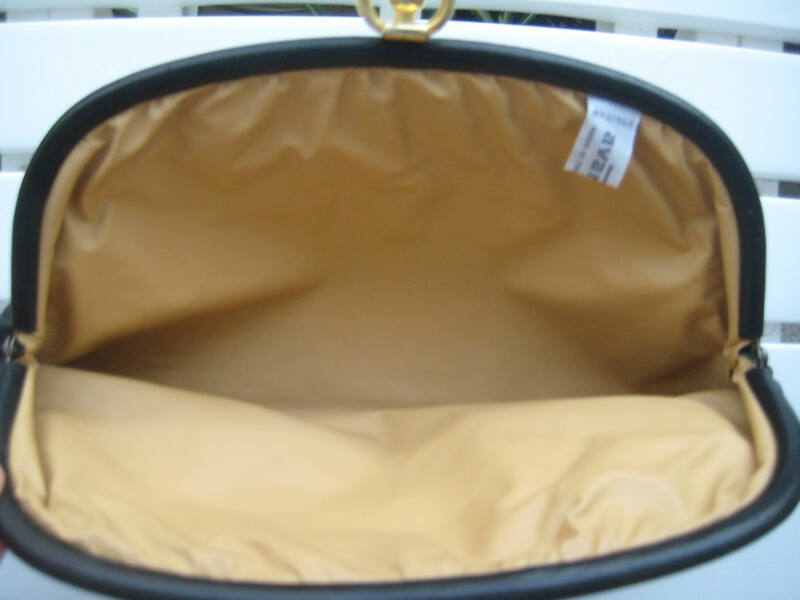 Gold tone metal spring snap closure. Avanlique label. 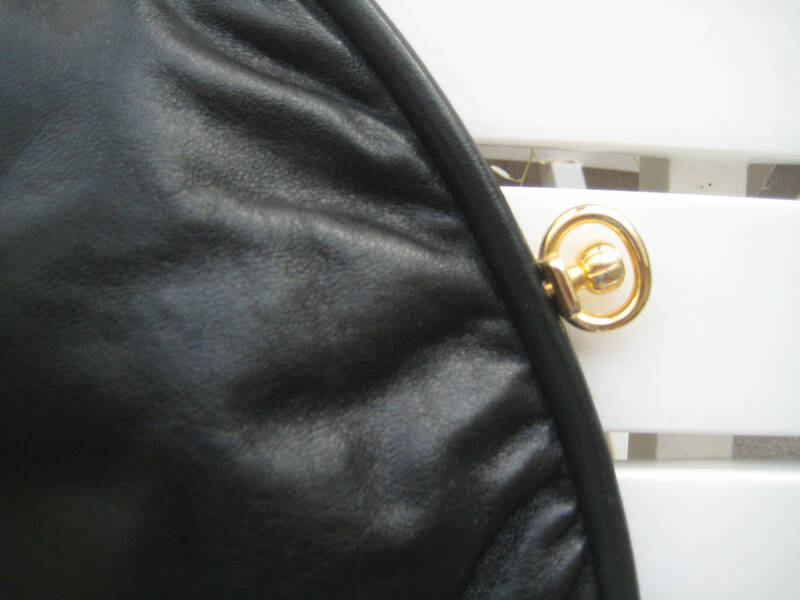 The clutch measures 9 inches long across, 6 inches high. Tan vinyl interior in great shape. Roomy to carry essentials from day to evening! 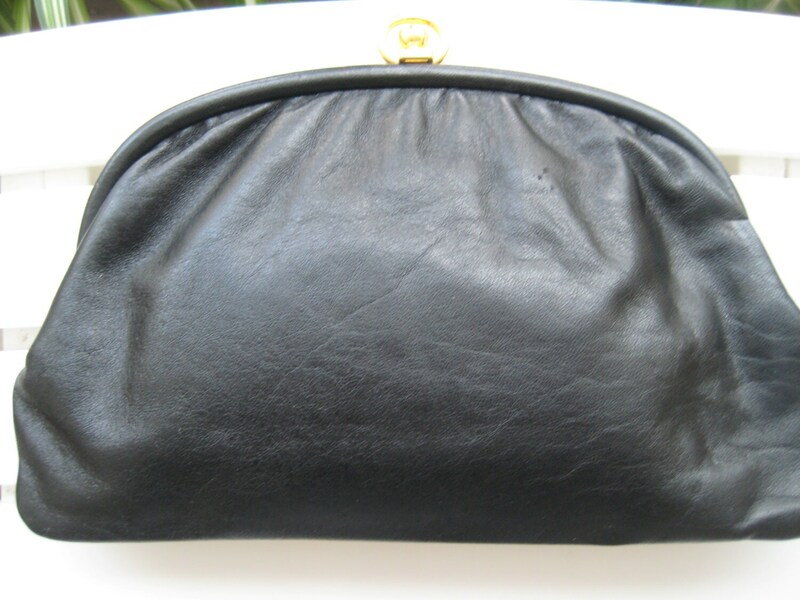 Few purses are made in Italy today - grab this simple, nice piece.